Rakeback has been part of the online poker industry since 2004. Affiliate Webmasters started the idea. They earned commission on the rake produced by players they sent to poker rooms they promoted. These affiliates decided to return part of this commission to their players. Many poker sites started to offer these deals directly to players. Today some poker rooms have banned Rakeback, but players still have options. Let’s first define rake. Rake is the amount of money taken from a pot of revenue; this is 5 to 10 percent of the pot. The idea of Rakeback is to return part of the rake to the player as an incentive to stay at a particular site. Some poker sites offer players a straight percentage of Rakeback where other sites will offer higher percentages to players who produce more rake. In cash games there are two different ways to calculate Rakeback. The dealt method gives back rake to players that participated in a hand equally. Contributed Rakeback is the second method, which returns rake based on the amount that each player added to the pot. Rakeback can also be rewarded for tournaments as well. Giving back part of a player’s tournament entry fee is Tournament Rakeback. You can think of Rakeback like comps paid to loyal customers at land based casinos. There are two methods of getting Rakeback. 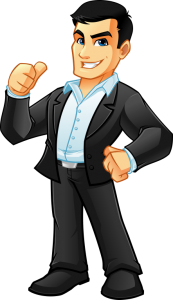 The first is to find a Rakeback provider, an intermediary between you and the poker site. The provider will pay you part of their commission. The second method is a site that offers you Rakeback directly; this is the safer and more convenient way. 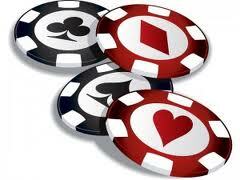 The poker site will pay you a percentage of rake you produce and place it into your player account. Do you need a boost to your bankroll? The solution is maybe as simple as signing up for a Rakeback deal. Thousands of poker players have taken advantage of this simple bankroll boosting method. Many professional and semi-profession players use Rakeback to cut their losses and increase their profits. Rakeback is profitable for player’s that grind, but has also become popular with recreational players. Rakeback is an unlimited poker bonus. It doesn’t matter if you’re a micro stakes player or a high roller Rakeback will be very profitable just look at the math. The amount of money earned through Rakeback depends on the number of hands played, stakes played, how many tables played at once and the number of hours put in. Many grinders and professionals earn thousands of dollars from Rakeback in a month, and you could too.